Hello Frequent Flyers and welcome to our 17th flight, Sense8. In just a few moment’s we will be bringing around the Duty free cart, where you can purchase such things as a horrifically named: ‘birth’, which connects you and 8 strangers through some weird sci-fi means we haven’t worked out. We are also carrying a variety pack, where people of colour/different gender orientations other than straight exist and get story lines. We only accept major credit cards, and of course, your baffled exhilaration. You know we have a connection, now you can test it on Facebook. You don’t need to crack a safe to find our iTunes page. 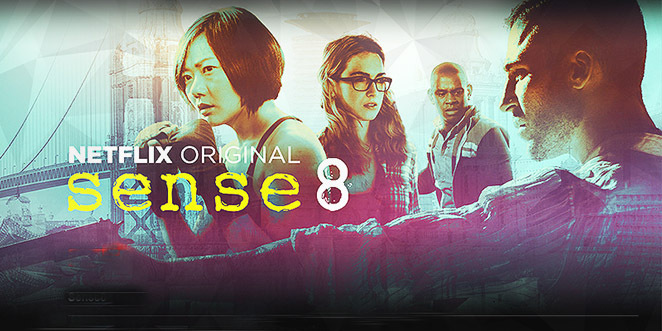 You can be Sense8tional and write us or donate on our Contribution Page.